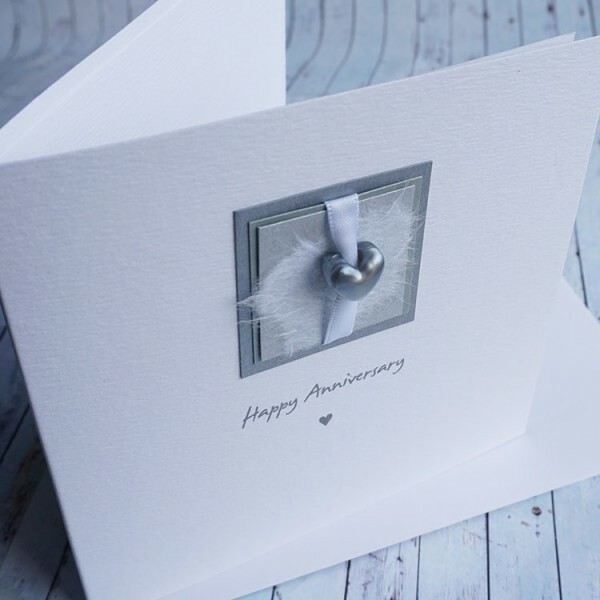 Handmade Wedding Anniversary Card "Silver Heart Bead"
A simple design for a wedding day or anniversary, with a silver coloured plastic heart bead threaded with a white satin ribbon and mounted on silver pearlescent cards and mulberry paper. 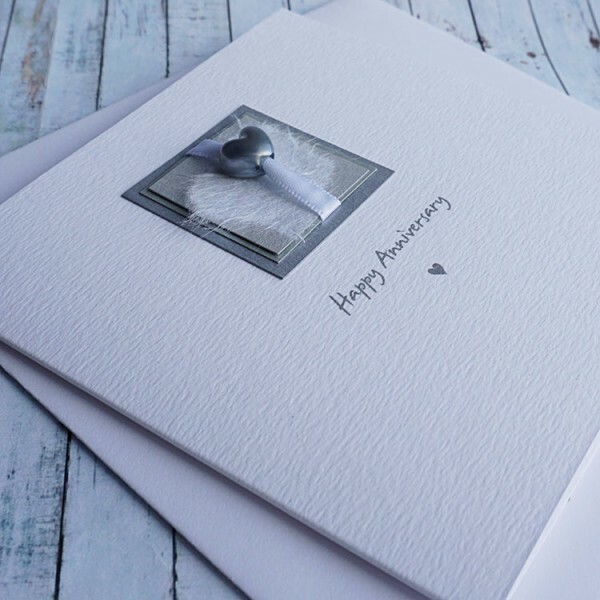 The card is created on lovely textured white card with a matching textured insert. The insert is blank but can be printed if you prefer - simply enter your message in the box when you place your order. The card in the picture reads 'Happy Anniversary'. The card is also suitable for wedding day cards, birthdays and other special occasions - please enter your own choice of wording for the front of the card in the box at checkout .